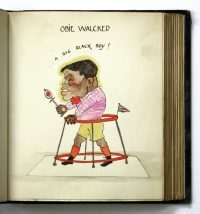 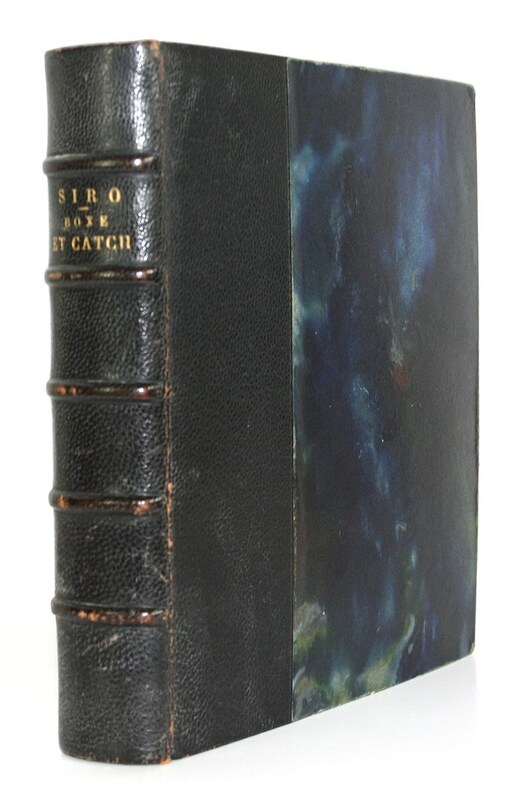 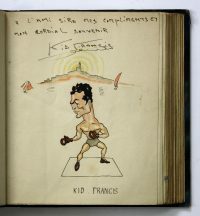 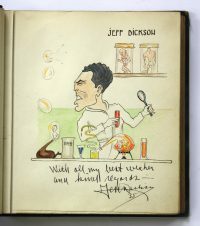 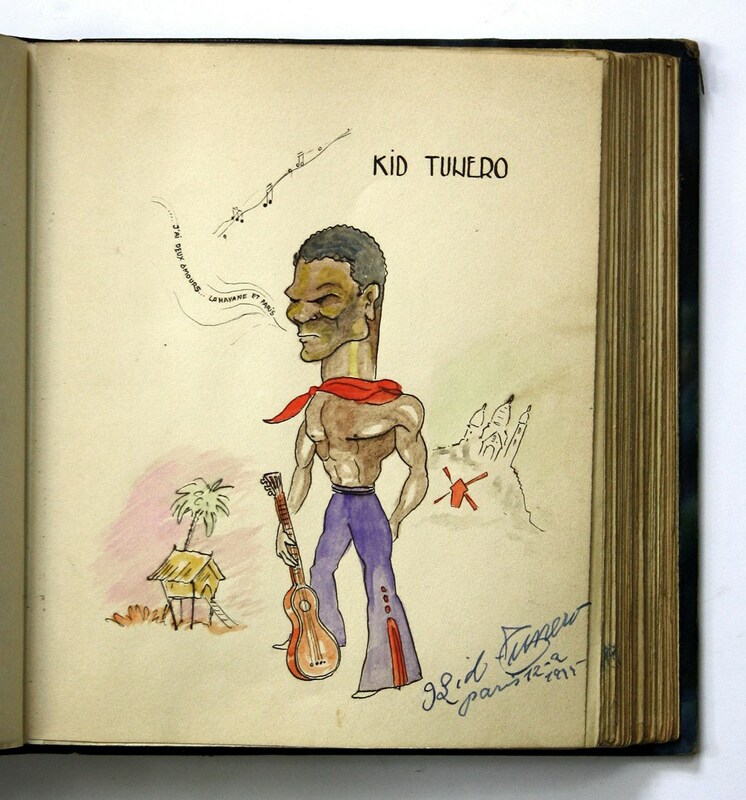 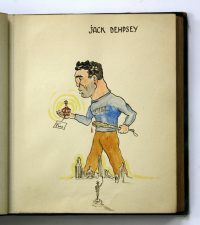 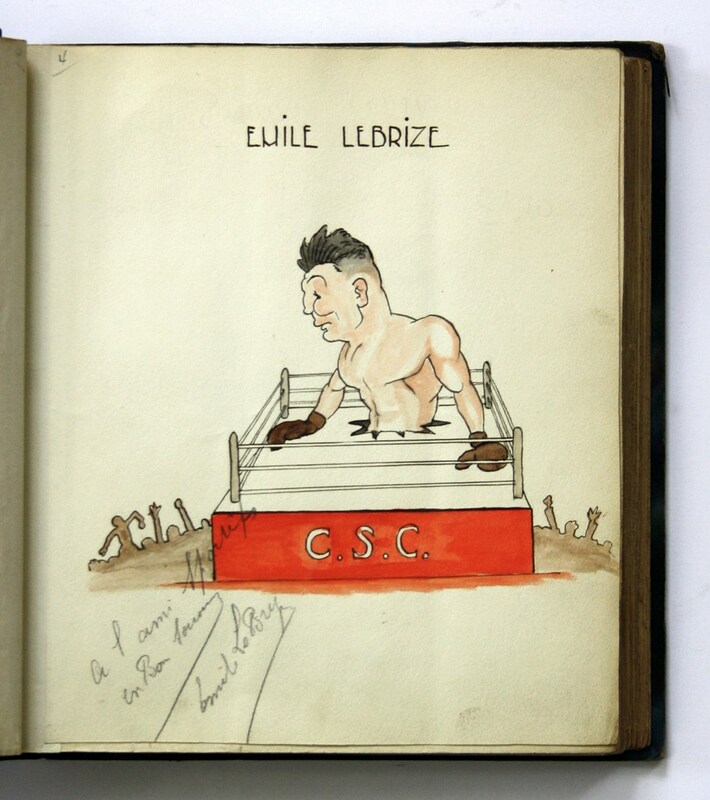 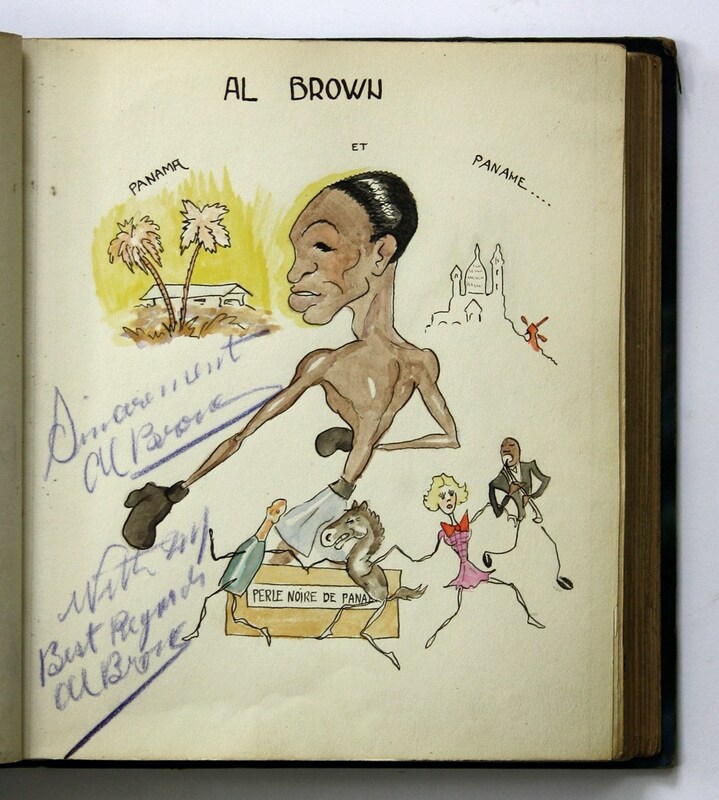 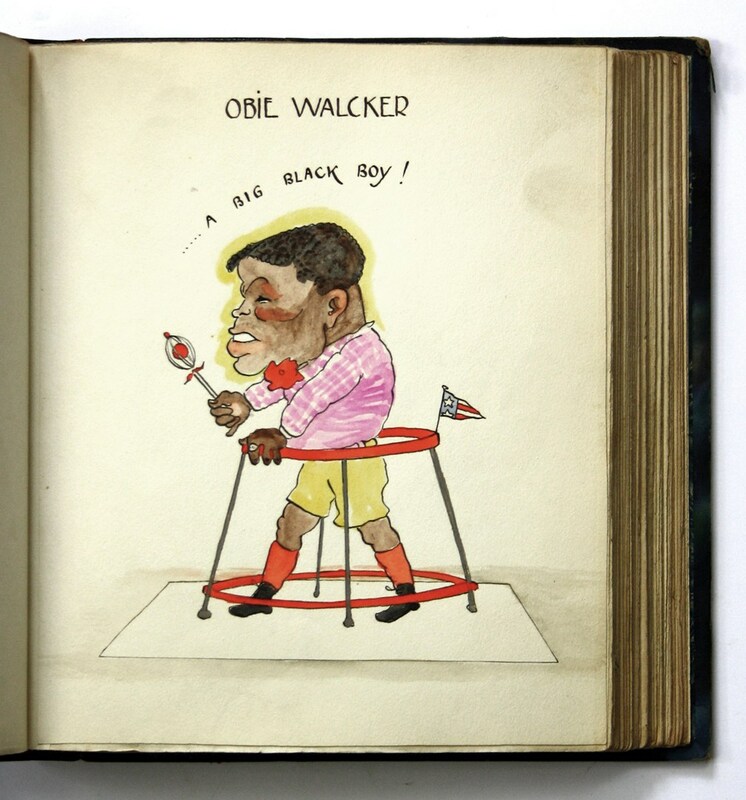 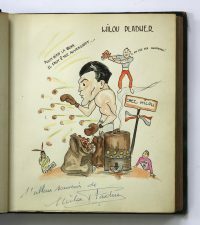 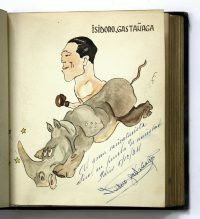 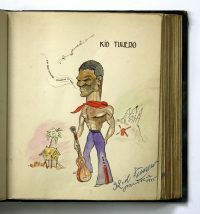 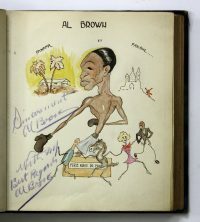 SIRO (Pierre Rollot) – Manuscript album with 59 watercolour caricatures of famous international boxers and wrestlers from the 1930s as well as a few referees, promoters and managers, of which 27 have signed dedications. 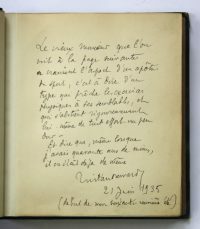 (Paris), 1935. 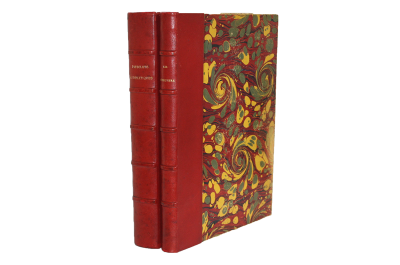 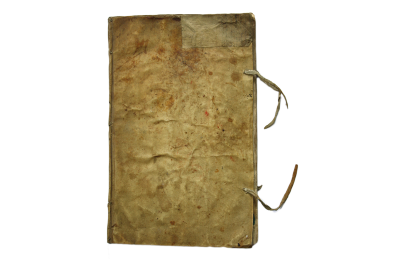 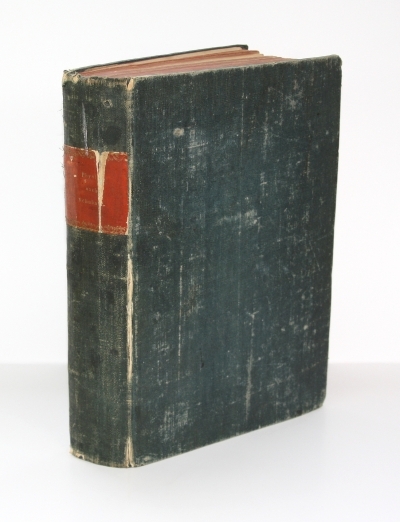 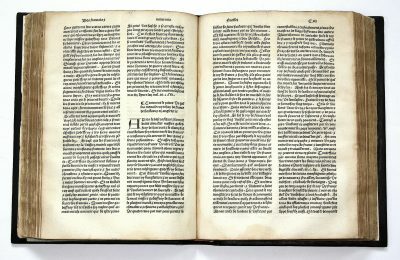 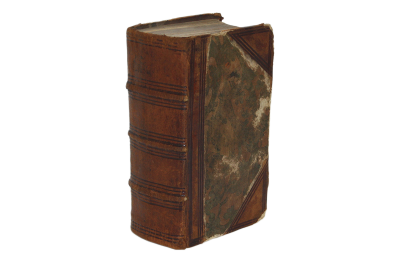 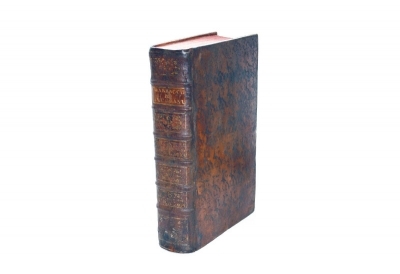 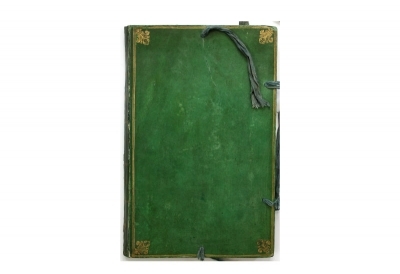 Contemporary half leather binding. The sports caricaturist Pierre Rollot (1914-2000) (Pseudonym SIRO) was born in Clermont (Oise), France. 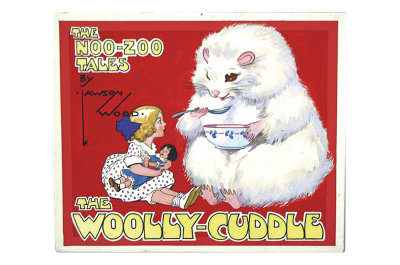 His caricatures were published in many contemporary magazines such as Le Figaro, L’Aurore, France-soir and L’Equipe. 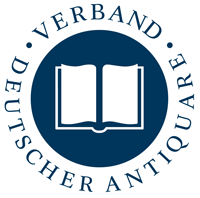 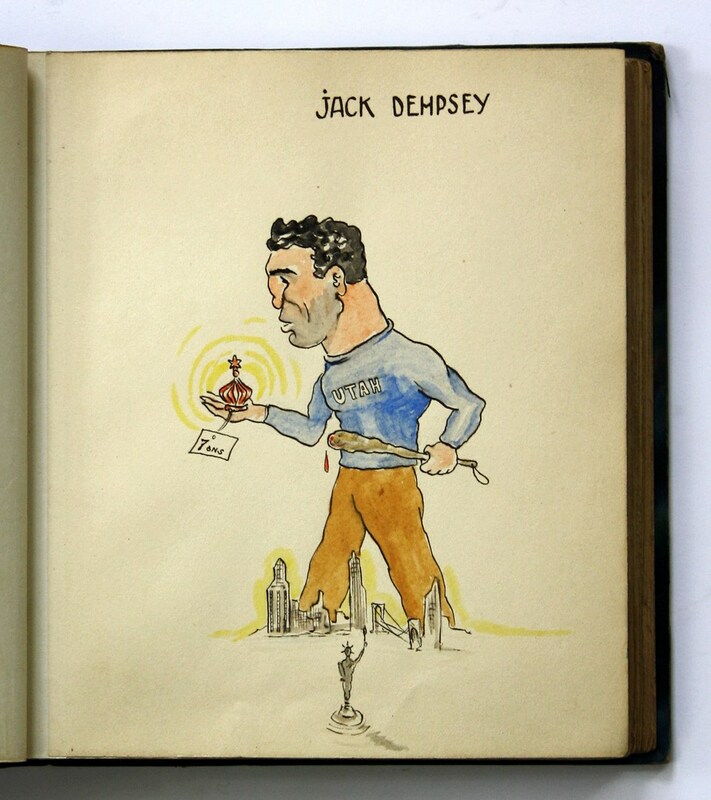 Sport was his major field of activity, but he also has caricatured many singers, actors, and various celebrities. His tomb is at the Cimetière parisien de Thiais. The present album refers exclusively to boxing and wrestling. Paris was the European center of boxing in the 1930s. Many international boxers distribute their fights at the French capital. 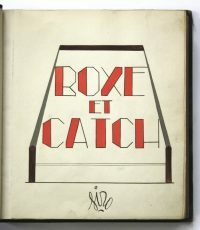 The present album of the 19 years old Rollot gives an exceptional insight into the European boxing scene in the 1930s. 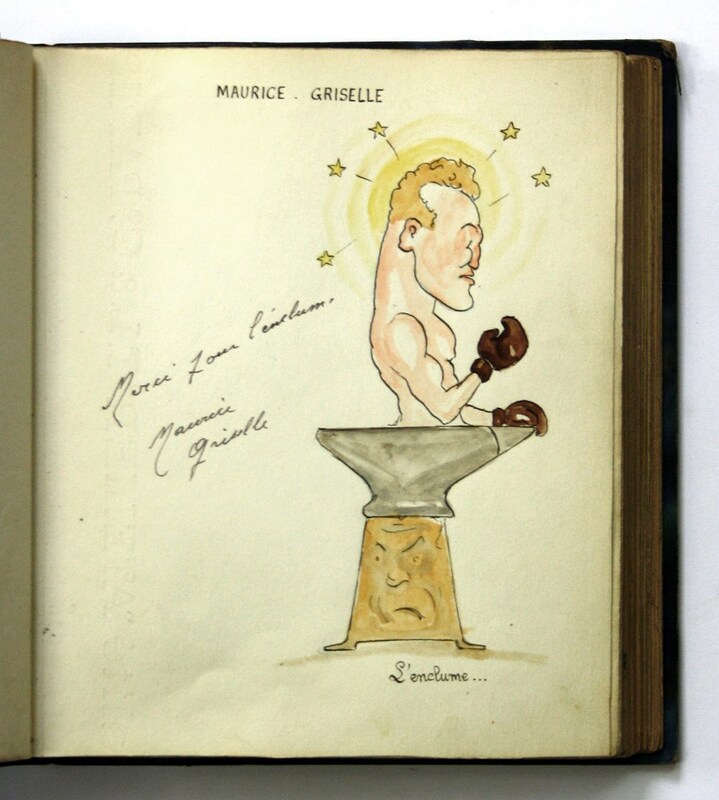 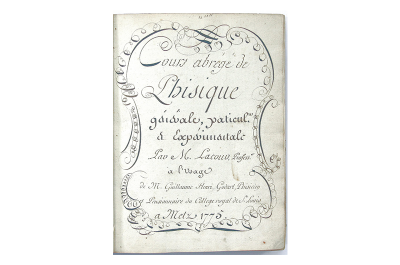 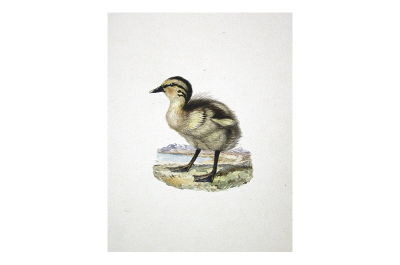 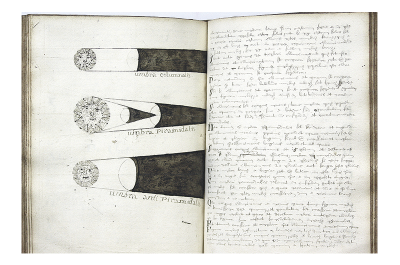 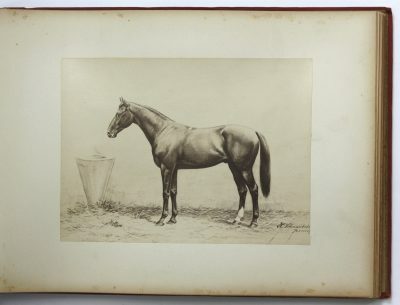 Rollot, obviously a boxing fan, made this album only for personal use and didn’t published any of the incorporating drawings. 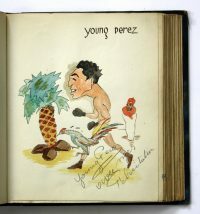 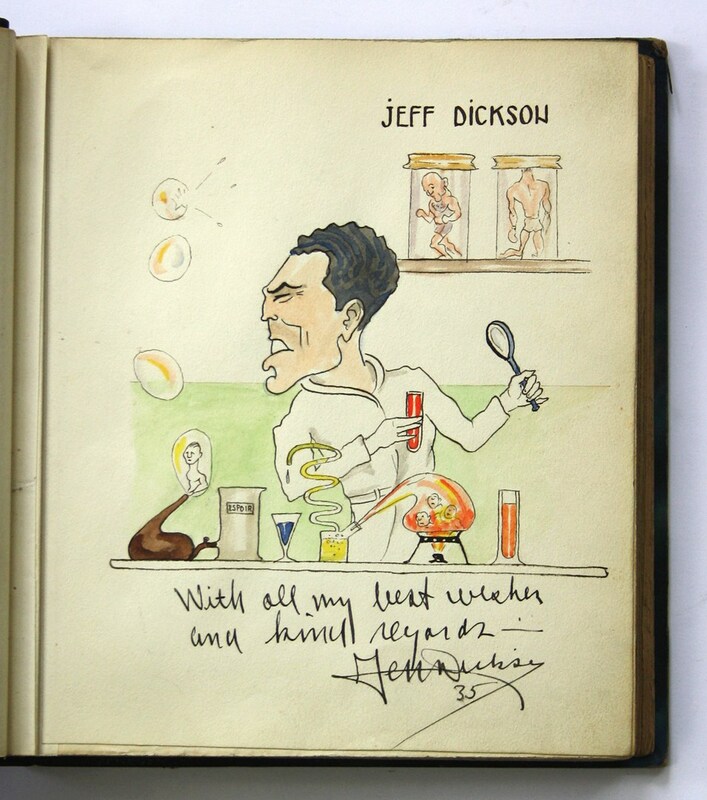 The album contains 43 spectacular caricatures of boxers, 8 of wrestlers and 6 of famous managers, promoters, referees etc.. 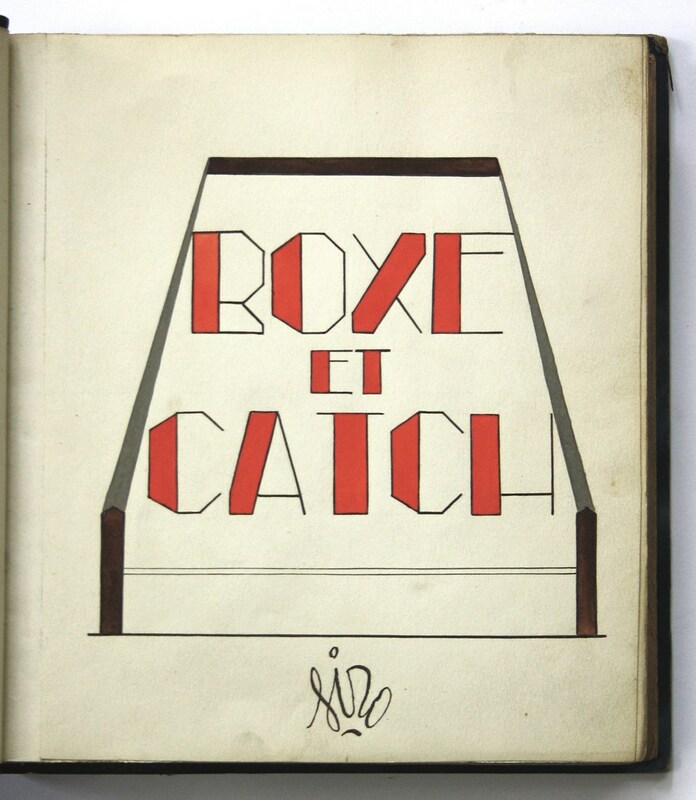 The represented athleths are from France, the United States, Italy, Belgium, Czech Republic, Germany, Spain, Cuba, Sweden, Tunisia, Bulgaria, Georgia and Panama. 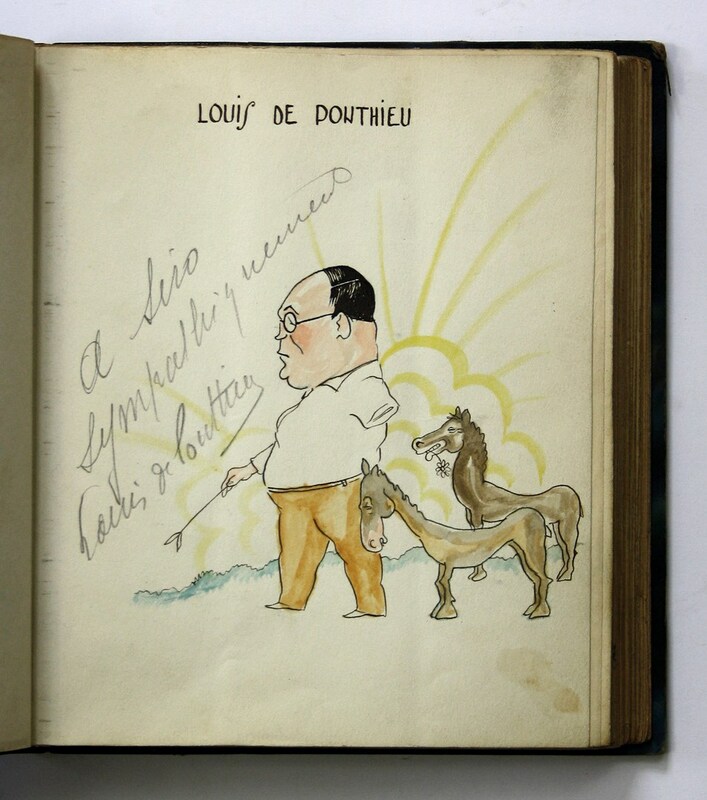 Tristan Bernard (1866-1947), a French playwright and novelist, wrote an autograph dedication page, followed by Rollot’s caricature of him. 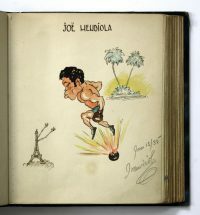 One of the caricatures bears no name of the represented person (obviously a referee) and another unidentified dedication has no caricature.